GLass-Ionomer cement with composition SiO2, Al2O3, Na2O, ……CaO, P2O5, F- with substitute ZnO by SrO additive were synthesized through a quick alkali mediated sol–gel method. The effect of adding ZnO and SrO on the bioactivity of cured ionomer cement was examined in simulated body fluid (SBF). Glass powder obtained in this way was used to prepare the GICs. The ideal powder: liquid (P:L) ratio determined to prepare the experimental GICs was equal to 1:1. The chemical process allows the development of glass powder at 400 ◦C which is the aim of the present paper. The powders were characterized by thermal analysis (TG/DSC), X-ray diffraction analysis (XRD), Fourier transforms infrared (FTIR) and Antibacterial influence. 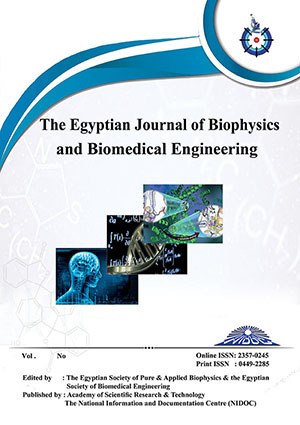 The results obtained showed that ZnO and SrO doping to glass ionomer cement block sites of the apatite nucleation led to retardation the apatite formation, high antimicrobial effect of samples against Escherichia coli, Staphylococcus Staph and also showed lack of water solubility by adding zinc contents.